Feb. 12, 2019 — The annual UF Health AHRQ Patient Safety Culture Survey results provide a critical overview of the perception of UF Health’s patient safety culture. 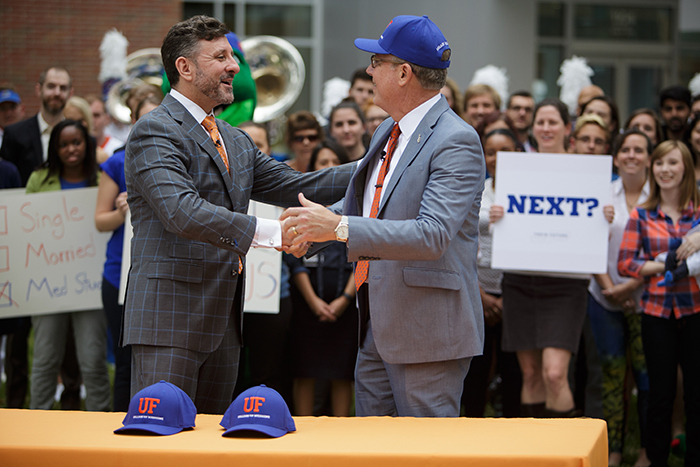 UF Health faculty and staff — which includes UF College of Medicine faculty and staff — participation helps identify accomplishments and recognize opportunities for development. The responses also drive the actions and resources allocated to improving quality and patient safety. The survey takes 10-15 minutes to complete and answers are anonymous. After finishing the survey, respondents are redirected to a separate form to enter identifying information for prize eligibility purposes. Staff will also be asked to enter the primary location, department and service area where they work. This information is used for comparison and analysis. Everyone who takes the survey is eligible to win a prize, and the department with the highest participation rate will also be rewarded. The survey will run through Feb. 28.